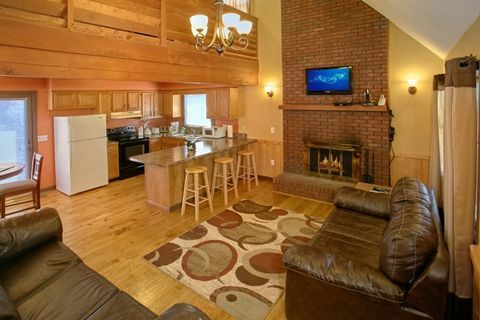 Smoky Mountain Vacation Rental - "Family Getaway"
"Family Getaway" gives guests a lovely Smoky Mountain vacation rental that accommodates up to 10 guests with plenty of space to play, eat, and sleep. 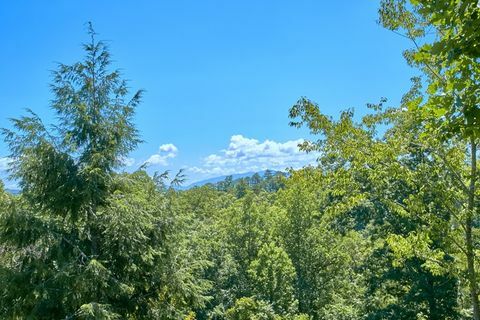 Located in Mountain Park Resort, near Gatlinburg, you're only a mile off the action-packed Parkway with easy access to dozens of Smoky Mountain attractions, dinner shows, and outlet shops. 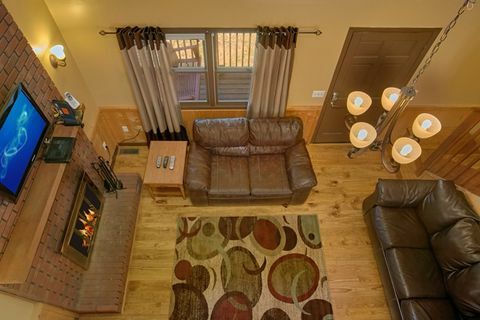 Your cabin offers something for every season. 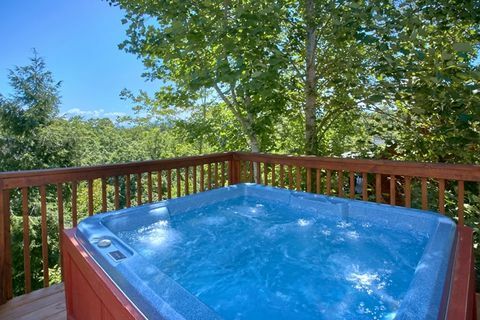 During the summer months, you can enjoy relaxing by the resort swimming pool to beat the summer heat. 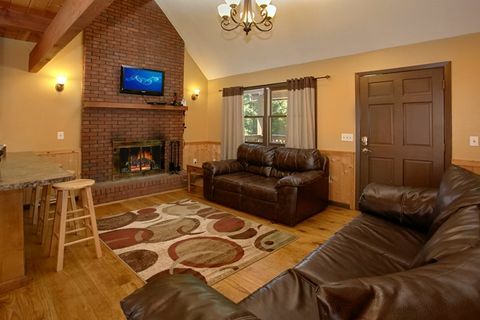 In the winter, gather around your cabin's warm, inviting, wood-burning fireplace with cups of hot cocoa and great family stories. 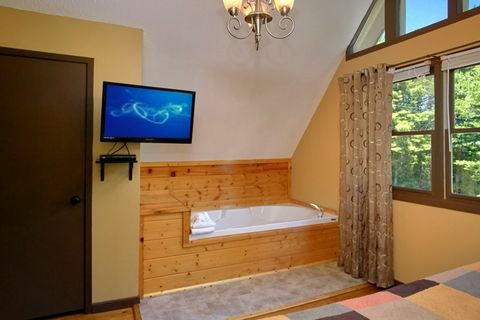 No matter what time of year, family members can keep up with friends back home using the cabin's WiFi Internet, while others take a dip in the cabin's year-round hot tub. 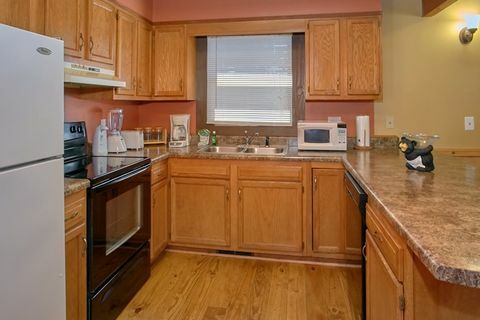 The main level houses a king bedroom, spacious kitchen with a breakfast bar, a dining room, washer and dryer, and a cozy living room with a fireplace. 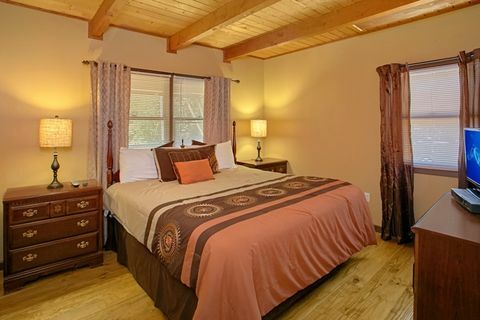 Upstairs, guests will find the master bedroom with a king bed and an in-room jacuzzi. 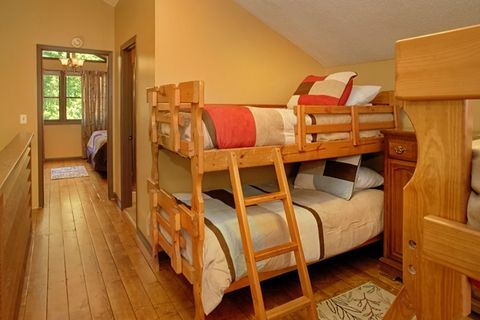 There’s also a full bath and 2 sets of bunk beds in the loft area. 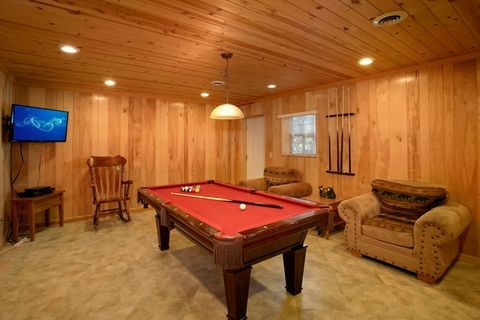 The lower level of your Smoky Mountain vacation rental features a game room with plenty of room for entertainment with its full-size pool table, card table, and ample seating. 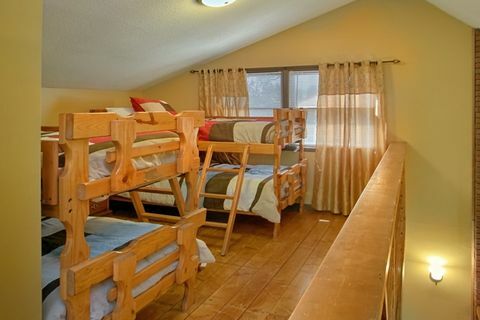 Next to the game room area, vacationers will find another bedroom with queen bed and private full bath. 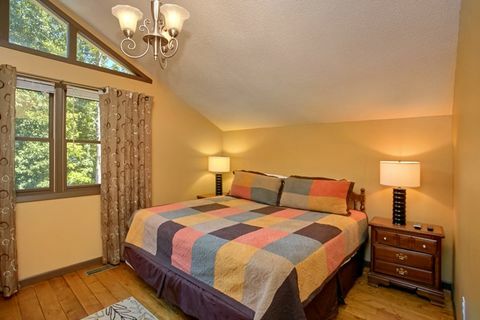 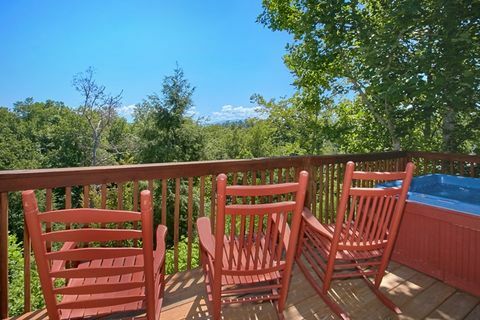 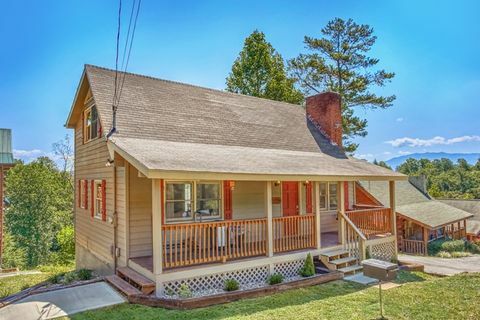 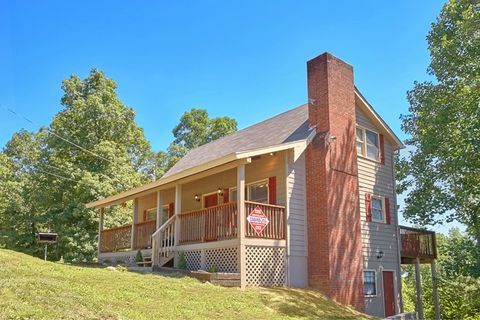 If you're wanting a vacation rental near Gatlinburg that keeps you close to the action and boasts relaxing accommodations, "Family Getaway" is your cabin in the Smokies! 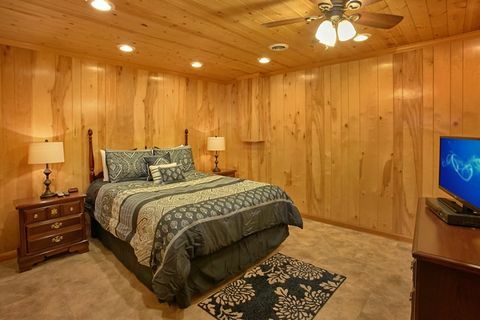 Book this beautiful Smoky Mountain vacation rental today with Cabins USA Gatlinburg to receive your immediate Online Cabin Special!